Here in Colorado, it’s pretty obvious we love our dogs. In fact, it’s become a bit of a stereotype. In Northern Colorado, and especially in Fort Collins, we have so many parks, hikes and open spaces to enjoy quality time with your four-legged friend. And because the city is so dog-friendly, you’ll even see them while you’re shopping, dining and sampling local beer. If you’re searching for your next go-to hangout for you and your dog, look no further! We organized a list of FoCo’s best places that will welcome all your friends (furry or human). And once you preview these breweries, restaurants and shops, you’ll probably be convinced to adopt a new friend today. 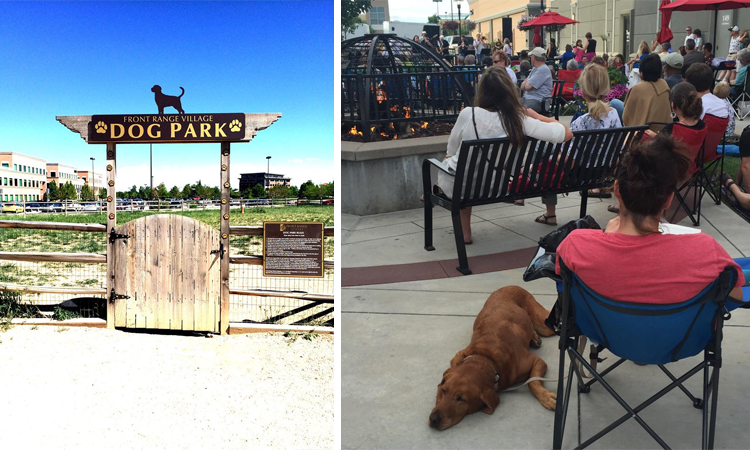 We’ll keep an eye out for your pup at these Fort Collins hotspots. Breweries have always been popular places to bring pets. Because many of them don’t serve food, it’s pretty likely they’ll allow dogs somewhere — whether it’s outside only or inside the taproom. But don’t bring your furry family member with you on a FoCo beer tour without checking first! 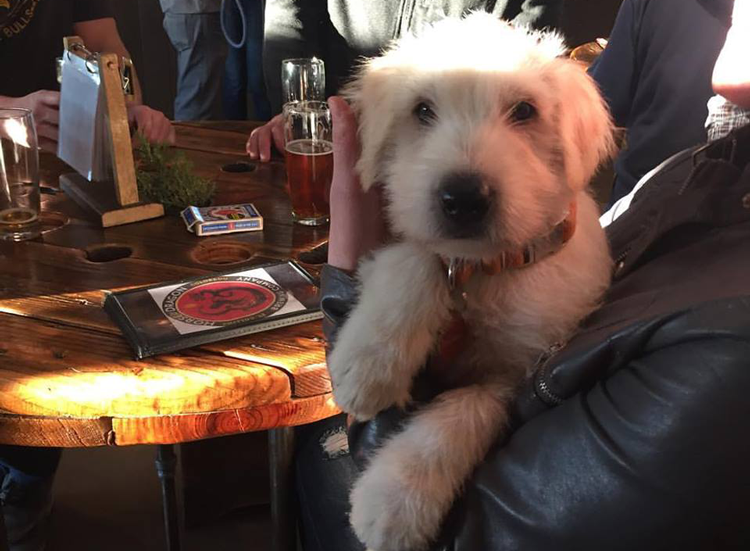 All of these Fort Collins breweries allow dogs inside the taproom so you can enjoy a pint with your pet year-round! 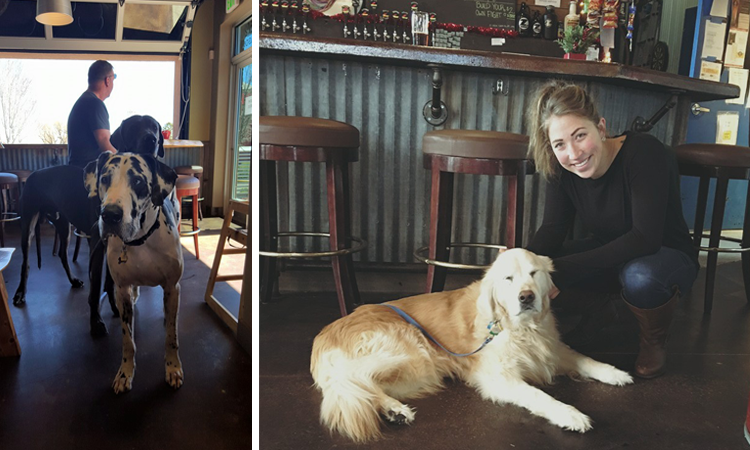 Dog-friendly, kid-friendly, community-friendly — Maxline Brewing is all about creating a welcoming atmosphere! Not only do they donate and fundraise for local nonprofits, they’re also committed to serving 30 hours per month volunteering and working at local farms. 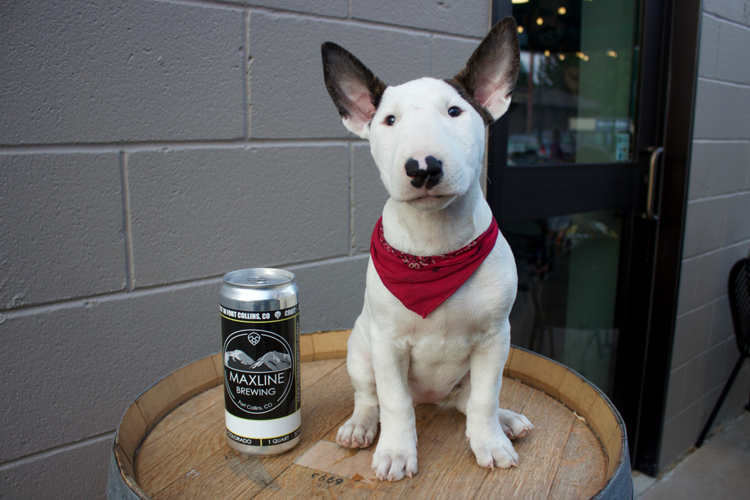 Bring your furry friend along while you get a taste for local FoCo and become part of the family at Maxline! Intersect is family-owned and neighborhood-focused so when it comes to kids and dogs, they’re all welcome! The brewery was founded as a place for friends and families to meet, unwind and socialize so they’ve created spaces inside and outside for you (and Fido) to do just that. Since 2014, Snowbank has been striving to innovate every recipe and to always represent the Colorado lifestyle. And it wouldn’t be a Colorado lifestyle without our dogs at our side! So stop by to meet the owner and the head brewer — and to find a new favorite brew. Horse and Dragon may not allow actual horses and dragons, but your dog is invited any day! The knowledge and passion for beer and community show through with every sip. And it has done so since the brewery opened its doors in May 2014 — which just so happened to be the Year of the Horse. New Belgium Brewing is one of the largest Fort Collins breweries. Through the decades, they’ve welcomed kids, pets and beer lovers alike to come in and enjoy the atmosphere. If German beer, friendly atmosphere and dogs are on your must-haves for a brewery, make Zwei your next stop. 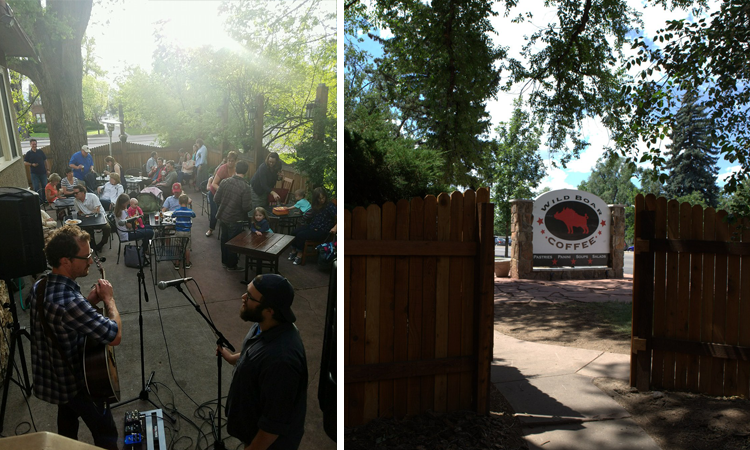 Whether you’re inside or outside, you’ll find a place to sit back, relax and grab a pint of some of FoCo’s best. Below you’ll find, not only some of the best patios in Fort Collins but the most dog-friendly as well! Keep in mind, these restaurants don’t allow dogs inside. So if it’s snowing, leave Fido at home. 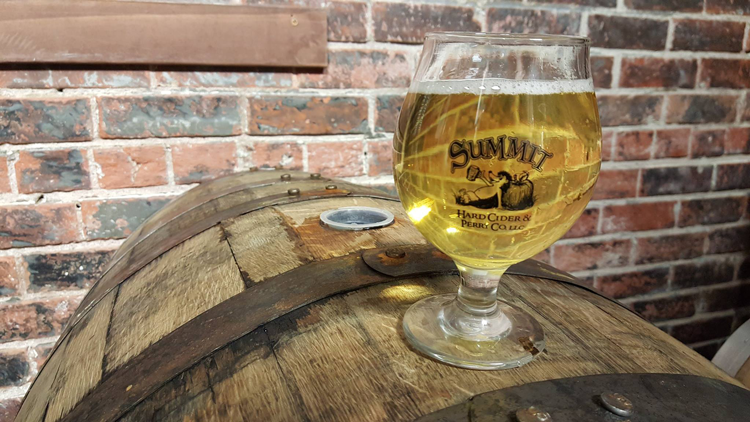 Scrumpy’s is a brewery and restaurant combo that we can totally get on board with! Not only are their crisp hard ciders perfect for the summer months (and any month, really), but their patio is welcoming to kids of all kinds — furry included. It’s first come, first serve seating and is complete with full water bowls. Tasty Harmony is one of the top Fort Collins favorites for vegan and vegetarian fare. That’s why it’s second on our list of The Best Vegan and Vegetarian-Friendly Restaurants! After years of experience in raw foods, organics and vegetarian cuisine, the Steinhauser family opened their restaurant in 2009. And, to increase the warmth and inviting atmosphere, your dogs are invited as well. Wild Boar is much more than a coffee shop. They’re gardeners, composters, chefs and dog lovers. Come by for breakfast or lunch and order a plate of Biscuits and Chorizo Gravy or a Corn Beef Reuben. Alley Cat Cafe is famously open 24 hours a day. It’s the Fort Collins destinations for late-night studying, freshly made snacks and a warm feeling of community. Bring your dog to hang out on the patio and maybe get inspired to pluck the strings on the in-house acoustic guitar! It’s not just pet stores that allow your dog inside — though there are a few of those as well! 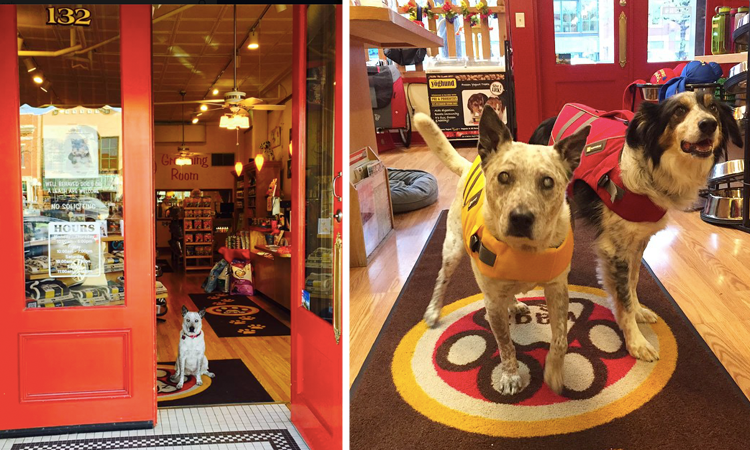 Check out the local places your pet can shop with you (and take home a few treats). 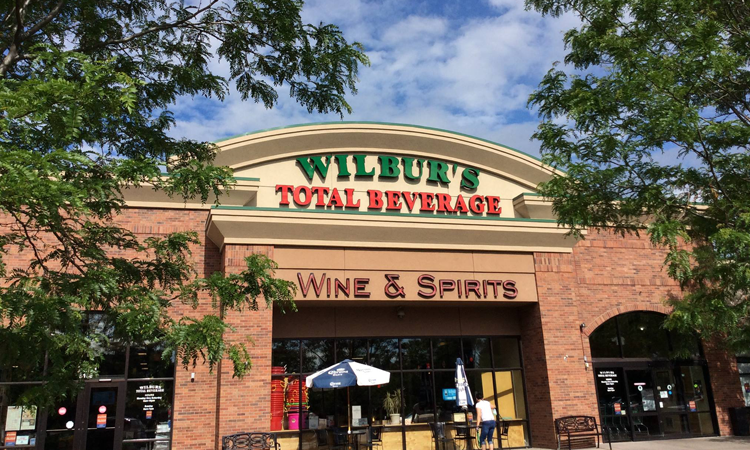 If you call Wilbur’s Total Beverage and ask if they’re dog-friendly, you’ll likely hear something like this: “Heck yeah! We love dogs!” As long as your furry friend is on a leash, they’re welcome to peruse the aisles with you. JAX is the local destination for all things outdoor — and it wouldn’t be NoCo recreation without a dog in tow. Stop by and get something for your next adventure or renovation project. You may even find something for your pet to take home! Wagz began in 2009 with locals Matt and Cristin who had a passion for their own family of pets and wanted to spread that love to other Fort Collins families. Today, that same passion and care is continued through owner Cheri Corrado. When you stop by, you may even get to meet Molly, the infamous shop dog. She may be blind, but she covers the store like a pro! With four locations in Fort Collins, one in Loveland and one in Windsor, you’ll be able to find your pet’s favorite food, treat, toy or accessory no matter where you are in Northern Colorado. Poudre Pet even has products for cats, small mammals, reptiles, fish, birds horses and livestock as well. While you’re there, you can give your dog a bath, too! Front Range Village is a community of shops, restaurants and entertainment venues. Though some individual stores may not be dog-friendly, the outdoor spaces are all open to leashed pets. And they even have a fenced dog park where Fido can stretch his legs! While you’re out and about, stop by Bentley’s Pet Stuff and Pet Supplies Plus to take home a treat. Since 1932, Fort Collins Nursery has offered acres of greenhouses and gardens where you can find the perfect addition to your home and yard. You’ll find educational opportunities, plenty of plants, and friendly staff ready to help you and welcome your dog! Let us know where you take your dog in Fort Collins.